Want to plan a trip on the amazing Spiti Valley Loop? Every foreigner traveling from Kaza to Kinnauar is required to obtain the ILP (Inner Line Permit) so make sure you do your homework. Here you'll find answers on how to obtain the permit as well as transportation options for this amazing journey. If you missed Part 1 of this story you can find it here. 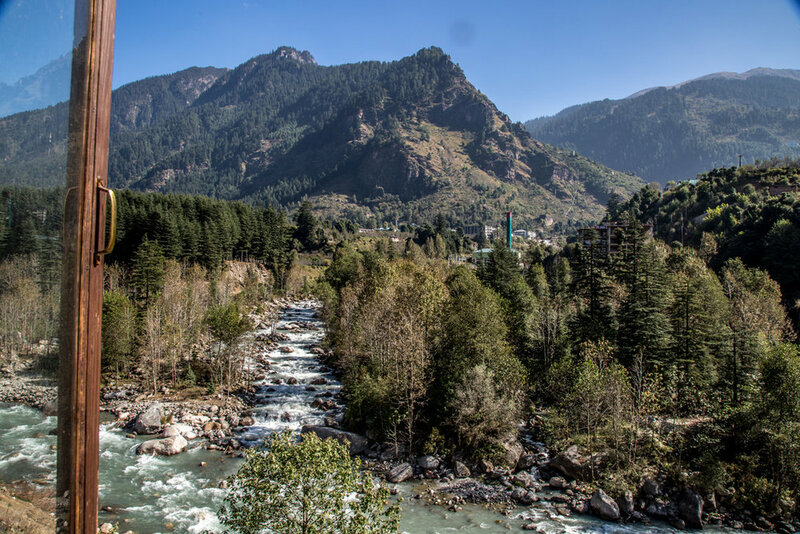 After being denied the ILP (Inner Line Permit) in Shimla, we continued our journey in the north of India to Manali, where we were told we would 100% get the permit. Again, we ended up in a small town with one purpose only, to obtain the ILP. All the foreigners visiting Himachal Pradesh between the Spiti Valley and Kinnaur Districts are required to get the ILP. As soon as we got to Manali, we visited the SDM office to get the ILP, which is located in the city center, on Mall road. It turned out that in Manali, the permits are only issued for groups of 4 or more people, so we were back to square one. Winter was approaching fast and we only had 2 days before the pass was going to close (The Kunzum Pass is closed from October 16th for 7 months). But this is India and we knew that there would be another way around this small bump. At the SDM office we were informed to go to Kaza, where the officers were apparently not as strict on the rule of 4 people traveling together. We decided to try our luck with the ILP in Kaza. We only had to find transportation from Manali to Kaza. There are few ways to travel on this route. Option 2: There is one bus from Manali to Kaza and it leaves at 6am. There are no reserved seats but this is the cheapest option. We heard the ride through the pass can be a bit dangerous and rough so weren't so keen on taking the bus. Option 3: A "Volvo bus" would have been more comfortable but apparently wasn't available because it was the end of the season. Option 4: Private taxis ("yellow cab") wanted to charge us 9,000 rupees to drive from Manali to Kaza. This was way too expensive and out of the question. Option 5: Shared Taxi in a 4x4 costs only 2,000 rupees each but the driver who looked like Indian Lenny Kravitz, didn't have a permit to drive foreigners through Rohtang Pass. Lenny almost convinced us to sneak through the border but we decided not to. Option 6: After walking for hours from one tourist office to another, we stepped into Chandertal Trek and Tours. After some negotiating, we decided to rent a private driver with a 4x4 to drive us for 10 days in the Himachal Pradesh. That way we could stop anywhere we wanted, film and photograph easier, and it also sounded like the most comfortable ride. We negotiated the price for the driver, car and gas for 3,600 rupees a day. We later learned that this is way too much and it should have been about half but oh well... Foreigners always pay more because we have no clue what things should cost in India. We'll know better next time. Chandertal Tours helped us to plan the 10 day trip. We planned to drive from Manali to visit the valleys of: Spiti, Pin and Kinnauar, making a big loop and ending in Shimla. We were going to meet our driver Bitu next day at 5:30am. Read Part 3 HERE! Have a tip or story to share about getting your Inner Line Permit? Please share in the comments below!